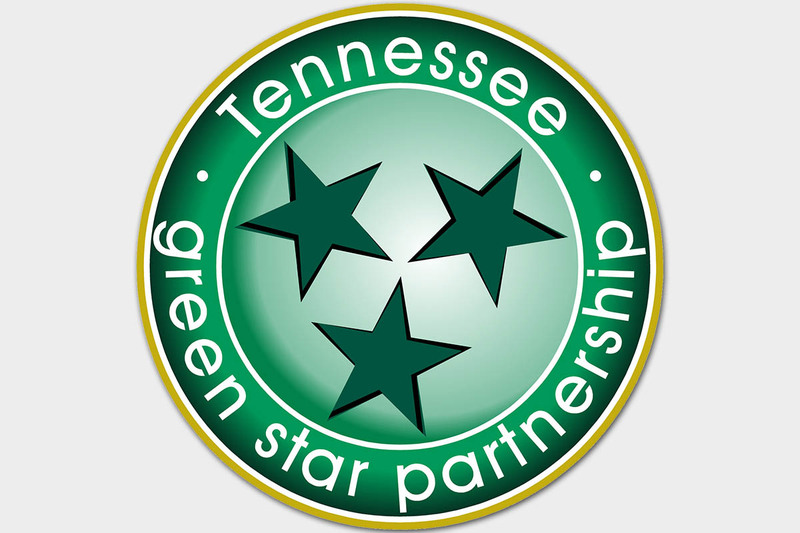 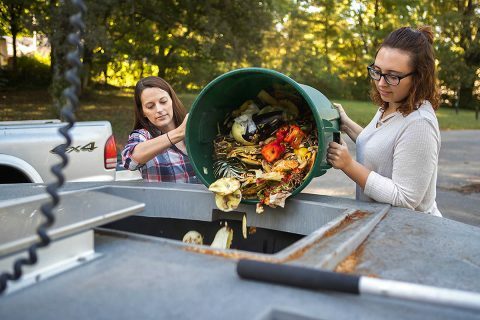 Nashville, TN – The Tennessee Department of Environment and Conservation (TDEC) announced the first group of participants in Get Food Smart TN – a statewide initiative aimed at reducing food waste. The inaugural class, which includes Austin Peay State University, was recognized on April 20th, 2018 at an event hosted by former TDEC Commissioner Bob Martineau and TDEC Assistant Commissioner Dr. Kendra Abkowitz Brooks at the William R. Snodgrass Tennessee Tower in Nashville. Director of the APSU Center for Service Learning & Community Engagement, Alexandra Wills and Student Worker, Leslie Warren demonstrate the waste compost on campus.